Makes the Platinum Member pick-up on the 8-Family at 245 Martense Street look like an even better buy than it already was. We just got a sneak peek of the rent roll on the next-best off-market 20-Fam on this side of the park, which is a 12-cap at the rents on 245 Martense Street! If 6,000 sqft of generic rentals in Brooklyn Heights at 161 Columbia Heights was worth $3M last year, what's it worth this year? Looks like Sugar Hill gladly unloaded this badboy for a cool $3.95M in just over a year, and Besen rolled-out this rental listing that makes even the lamest brokers scoff. 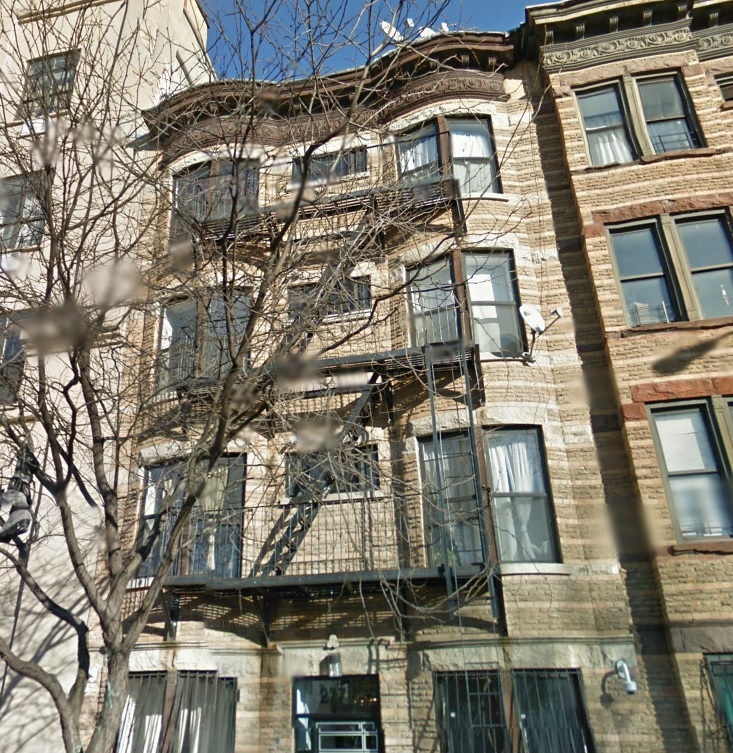 Brooklyn Heights isn't the only place where 6,000 sqft of generic rentals can fetch $3.95M. 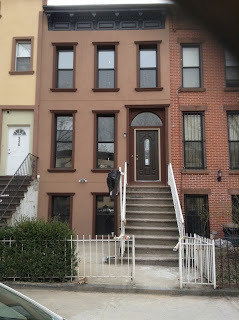 Check 277 Classon Avenue, across from Pratt in Clinton Hill, closing for the same price a month ago today. 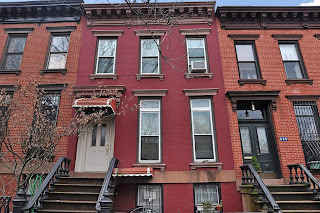 Meanwhile, around the corner, an 8-Family on the Clinton Hill side of Bed-Stuy moves barely on-market for $1.4M at 474 Lafayette Avenue. Platinum Members were all over this one when it was available last year. 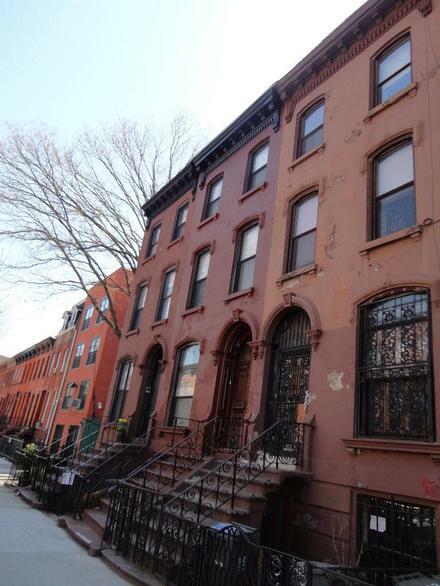 An owner of a few Bed-Stuy places moves this 3-story at 315 Halsey Street for $760K. And if you're not feeling that pricing, than you really don't wanna hear a 3-story in Bushwick at 780 Quincy Street sells for $800K. A quick flip for double the price in just a few months. We heard about an even better house than this - with more original detail - available pre-market for $850K. 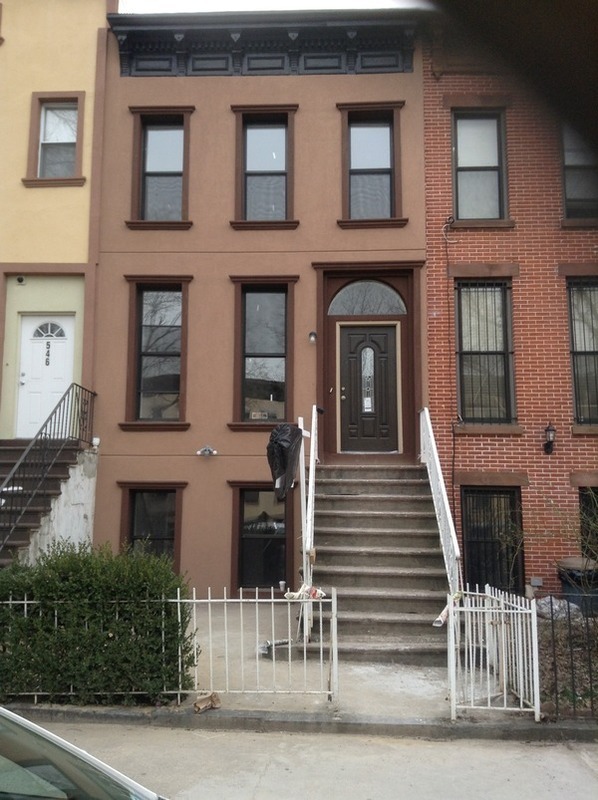 Also in Bushwick, 1076 Decatur Street fetches $599K. Further out that many people wanna be for the moment, but still a renovated townhouse for a condo price. 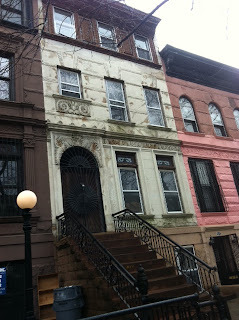 Did somebody say 3-story in Bed-Stuy? 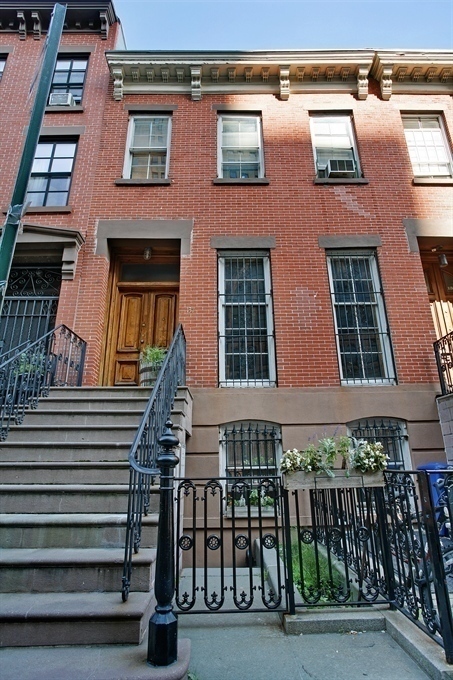 Even barely 16' wide at 544 Lexington Avenue sells for $710K, just above asking price. Still, condo prices. In Crown Heights, this huge brownstone at 132 New York Avenue in a great row of them trades for $1.25M. Oh, yeah, and off-market, and an SRO. Getting harder and harder to sneak up on a house even over here. 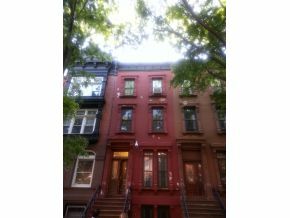 Platinum Members closed on one of the best looks at a 4-story fixer-upper with an extra-deep yard in Prospect Heights at 408 Park Place. The house went for asking price of $2.15M. 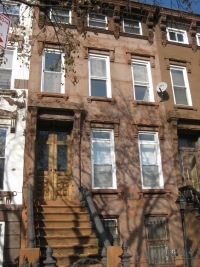 Also in Prospect Heights, on Platinum Member radar for a few months, this former-SRO at 138 Prospect Place traded off-market for $1.85M. Many passed on it because of its small yard and proximity to a commercial avenue, but others said, "Yes, please!" to this off-market gem. 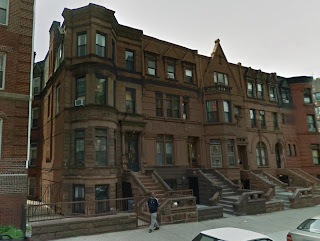 In Crown Heights, this 5-story rowhouse chopped into 8-units at 1243 Dean Street was a great buy & hold on a great block. Especially at the closing price of $1.125M! 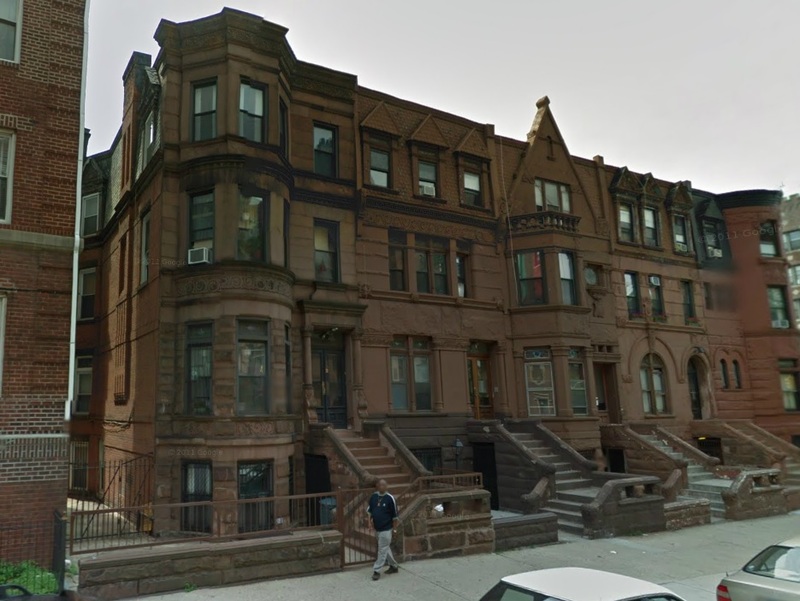 Also in Crown Heights, 1150 Pacific Street, barely on the market, moves for $1.025M. Nevermind the current use of the Bedford-Atlantic Armory across the street - anything around $1M looks like a no-brainer these days on these blocks to many buyers. Once a rental of the day on Brownstoner, 576 11th Street fetches $2.35M in Park Slope. So much for those jokers trying to tell us you can get a 242 Decatur Street in South Slope for $1.7M. 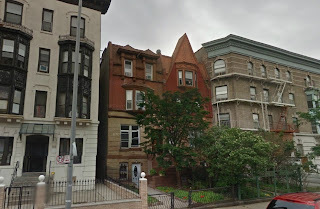 Speaking of $1.7M in Park Slope, 608 Carroll Street was a 3-story in what some would call "estate condition" that got its full asking price of $1.75M. We think what people were really comparing 242 Decatur to is more of 232 St. Johns Place, which listed for $3.3M in Park Slope and just closed for $3.2M last month. 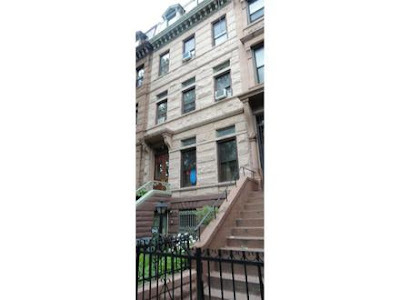 With what's going on in Fort Greene these days, 137 St. Felix Street is looking like a bargain at $1.8M, comfortably over asking price. 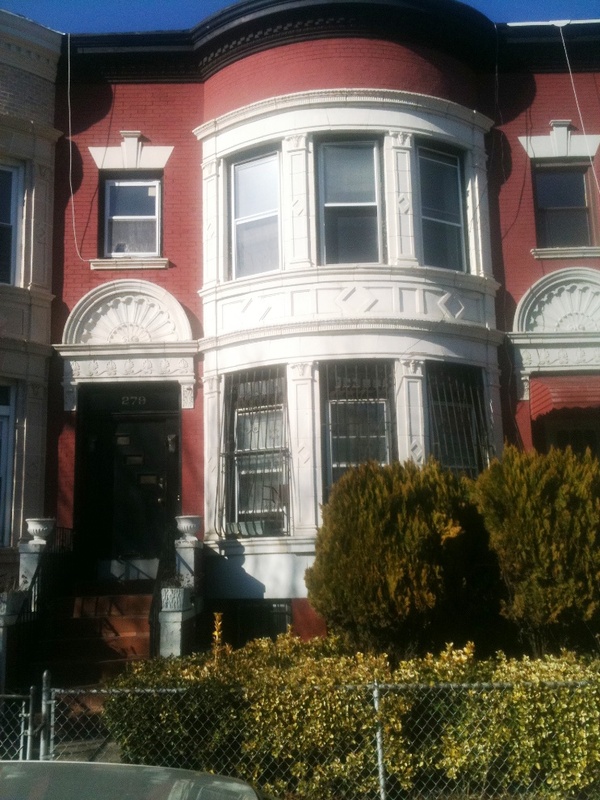 279 Lefferts Avenue, over in Lefferts Garden, got its asking price of $799K easily. Narrow, but a solid piece in arched-brick construction just off of Franklin Avenue, ready to be maxed out. Low-ball cash offers came in quickly, but the sellers were holding out for the best price for a reason. Ideally: we've seen much worse go for much more. Easy to see why this house makes sense in this market. Platinum Members landed one of the most stunning houses in Stuyvesant Heights. Flagship properties like these trade at flagship prices. 242 Decatur Street listed for $1.8M and closed last week for $1.7M. 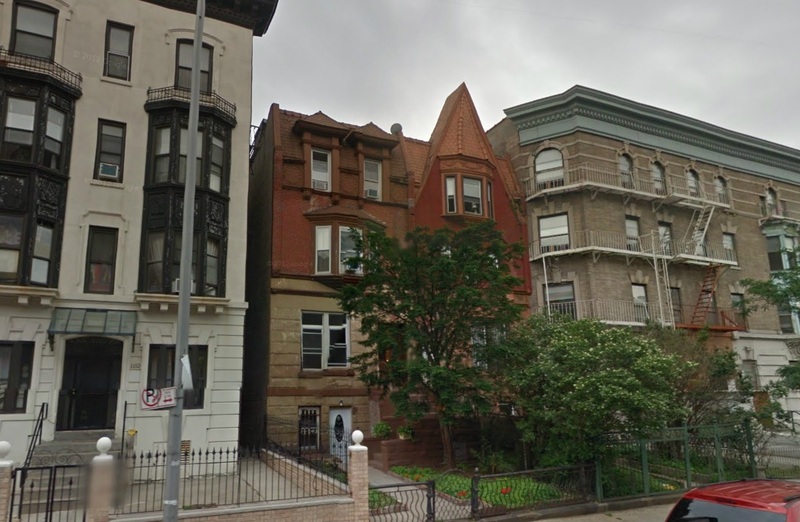 While you ponder the $1.7M sales happening in Bed-Stuy and Lefferts Garden right now, keep in mind that Prospect Heights gems like 166 Prospect Place were hard-pressed to justify over $2M just 5 years ago. Now you just list that bad-boy for $2.895M and close for $3.3M last month. We've been scoping out the next-best off-market cousin to this house for a while around the corner, who has every right to ask for $3M given activity like this. 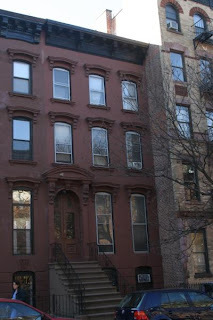 We tried to tolja' about 184 Lefferts Place when it reappeared for $1M last year. Then it came back out this year for wayyy less as a short sale, and just closed for $390K. 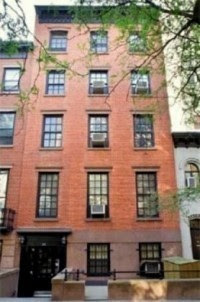 Sure, it's narrow, but you can't touch a condo for that price in Clinton Hill anymore! Where can you get a townhouse for anywhere close to $400K that isn't an all-cash deal? 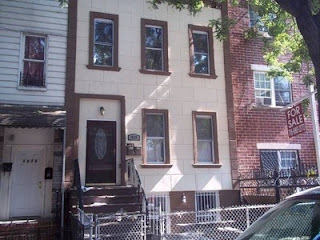 Over in Bushwick, 22 Weirfield Street sold for $438K. 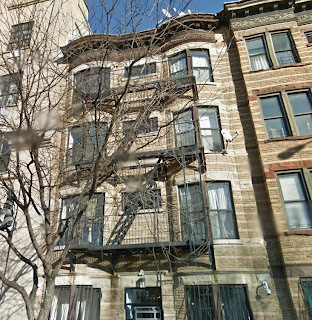 Another on-again/off-again listing in Fort Greene finally fetches its price. 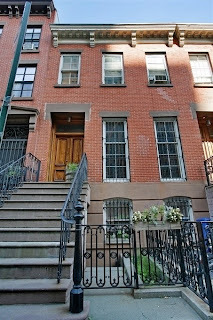 The narrow 13 St. Felix Street sold for $1.427M last month. 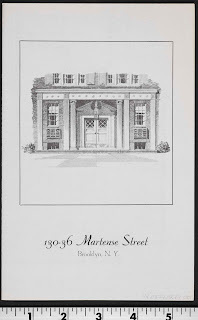 Took years to settle, and probably not what they have in mind when they e-mail us asking about turnkey Ft. Greene properties in the $1.5M range. 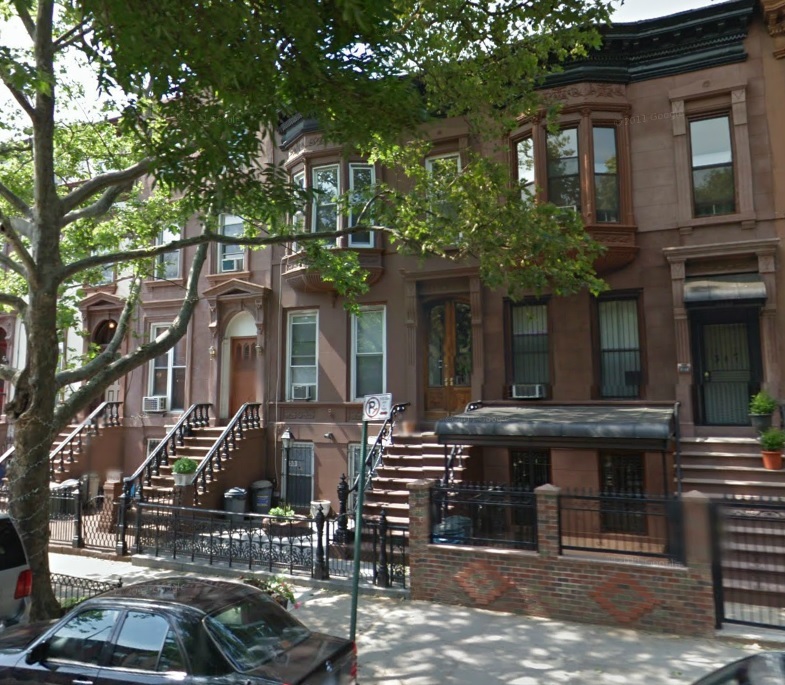 Why's it hard to find that $1.5M turnkey house in Fort Greene and Clinton Hill? 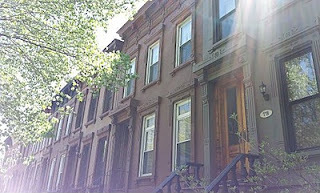 Well, over in Bed-Stuy a house on a great block like Hancock can command almost $1.5M now. 341 Hancock Street listed for $1.3M and sold for $1.333M last month. If you missed 261 Hancock Street last year, this one at 341 was right up your alley. Not quite as stunning, a bit further out, in a bit better condition, and a bit more money. 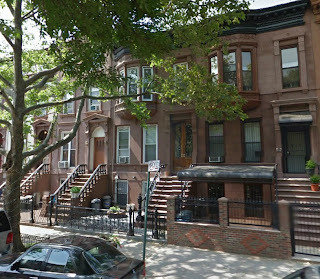 A 5-story in Bed-Stuy on a great block under $1.2M?? 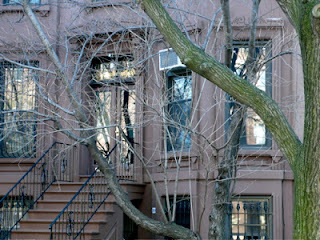 261 Jefferson Avenue was chopped into 9 studios, but had the size, location, and detail intact to make it a solid buy. It sold for $1.14M last month. 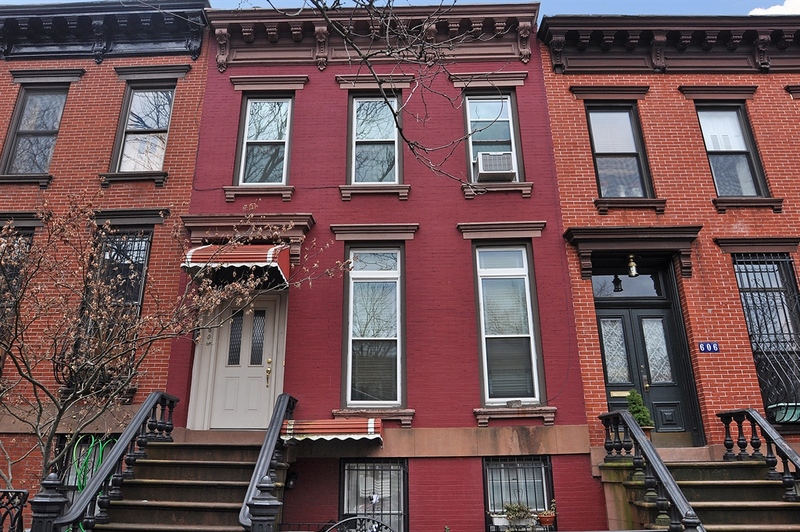 When you wanna get in Clinton Hill under $1M, it ain't easy. 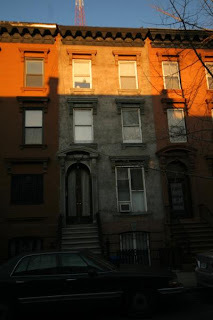 Take a narrow 2-Family in estate condition purchased all cash like 14 Monroe Street. A great little pick-up on the Bed-Stuy border, especially at that pricepoint. 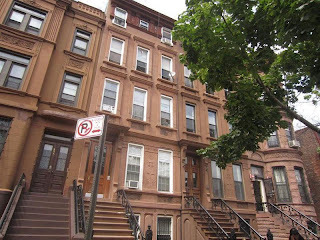 When another look at the quintessential 2-Family townhouse in Bed-Stuy pops up on one of the area's quaintest, most convenient blocks, it doesn't last long. Or at least, it shouldn't. We go out of town for a week to visit fam' and this one slips right under our noses! One of our favorite local brokers for underground deals, Celeste Moses, picked up this wounded listing at 18 Arlington Place and made a great deal happen. Not only did the deal make sense at the time around $1.2M, but just a few weeks after contract this house's bigger brother at 7 Arlington listed for $1.3M and locked up for $1.7M in a week. Then this house's cousin a few doors down at 12 Arlington has a bidding war above $1.3M a month later with a mediocre listing. So 18 Arlington is looking sweeter & sweeter to us by the day. 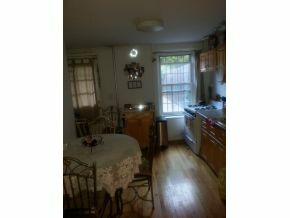 It's got the same wood details that made people go gaga for 22 Arlington, but in even better condition. In a climate where even fixer-uppers can coast effortlessly above $1.4M in Bed-Stuy if they're marketed properly, this looks like a great little pick-up. 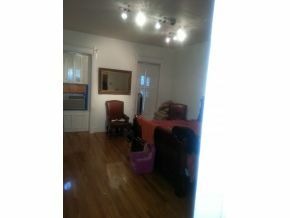 Almost 20' wide & 50' deep, with 2BR rentals on each floor, making the most of the layout gets you good space. We're told there's all new kitchens, baths, plumbing, electric, roof, water heater & boiler. 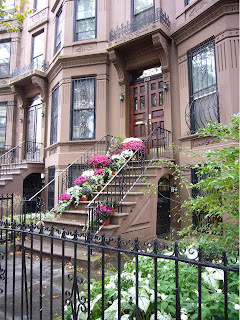 Even at 16.5' wide on only an 80' lot, this is the quintessential triplex-over-garden 2-Family. All mechanicals have been updated. The fixtures aren't everyone's taste, but way decent. Little touches like washer & dryer in the basement make it totally turnkey. It's a sale that will make you yearn for the yester-year of a few months ago when this kind of house went for $200K less - or even basically half this price less than a year ago. Feels like just yesterday. Drake says, "I did overnight, couldn't happen any quicker." 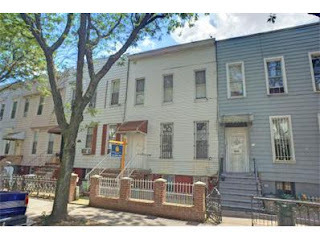 When Prospect Heights goes from $2M to $3M in under 9 months, is it okay for the next layer of houses to easily cross the $1M mark and then some? But we're not recklessly bullish either. Find us a condo under $1.4M that beats this house and we can have an honest debate. Reuters reports today that "home builder sentiment index" is the highest it's been in 7 years. Now what kind of metric is that? The people whose whole business it is to build more new homes (including in states like Florida where more homes were built during the boom than owners to live in them) are simply feeling better? These "readings above 50 mean more builders view market conditions as favorable than poor." 7 years ago, we were at the top of a bubble. One Platinum Member reports that folks around his way are saying Brooklyn looks bubbly. The new batch of pricepoints, and the houses that want them, is daunting. This article says things seem bubbly from Brooklyn to California. But can you really compare the two? 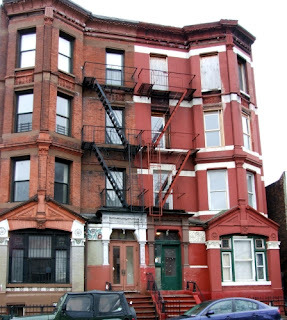 It wasn't even two years ago that people barely knew about a gem such as 931 St. Marks Avenue. 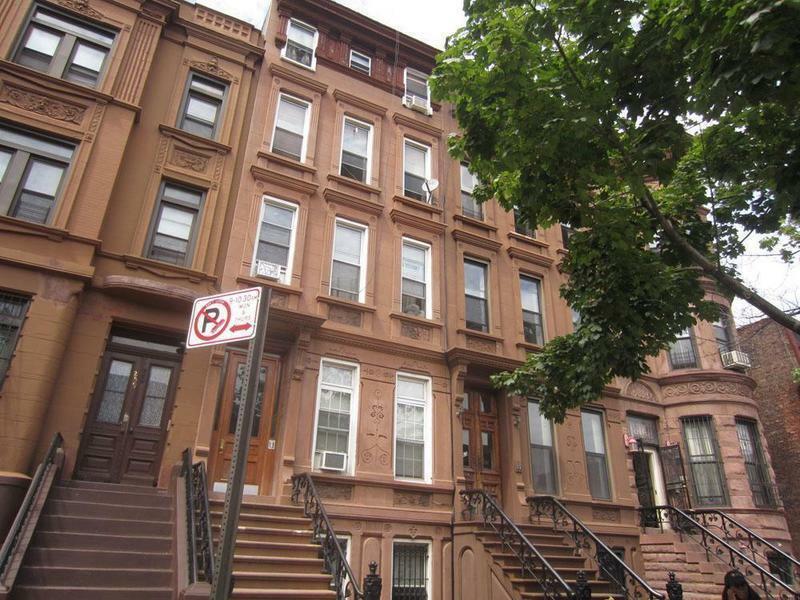 Now that same broker gets a listing on Bergen Street in Crown Heights at an even higher price and has 300 visitors and 50 offers. People were writing us immediately and asking if it was underpriced on purpose. Who's to say what's bubble and what's simply supply & demand? Whether home building sentiment is high or low, they ain't building anymore ~100 year old houses anymore, so get 'em when/while you can. 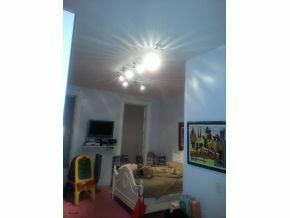 And to think, 12 Arlington goes for even more with a better listing! Ideally: another sign of the times, and a great value compared to the neighbor across the street.